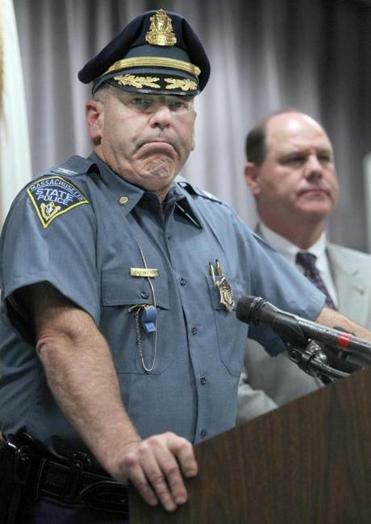 Members of the State Police announced alleged mishandling of evidence at a drug-testing lab. RE “DAs fret at lapses found at drug lab” (Metro, Sept. 6): So, now the state, already under financial pressure and beset by inadequate funds for public education, infrastructure repair, and myriad other urgent public needs, is going to have to finance the re-examination of some 50,000 drug samples in an estimated 34,000 drug prosecutions. It is too easy to blame the problem simply on one chemist gone bad. The whole ill-considered drug war has long been a nightmare not only for budgets, but for liberty and honesty as well. The corruption of public life long engendered by the “war on drugs” has now reached into the scientific labs. Surely it is time to reconsider the blight inflicted on all of us by this ill-considered obsession to “just say no” when it appears that somebody might be in danger of feeling euphoric for no apparent reality-based reason. Odd that it didn’t take too long for the nation to realize that prohibition of alcohol was a dumb and destructive idea, but it’s taking forever, it seems, to recognize the same with regard to drugs. Maybe next year. The writer is a criminal defense and civil liberties trial lawyer and writer.